So, it’s no secret that long haul flights are bad for our skin. 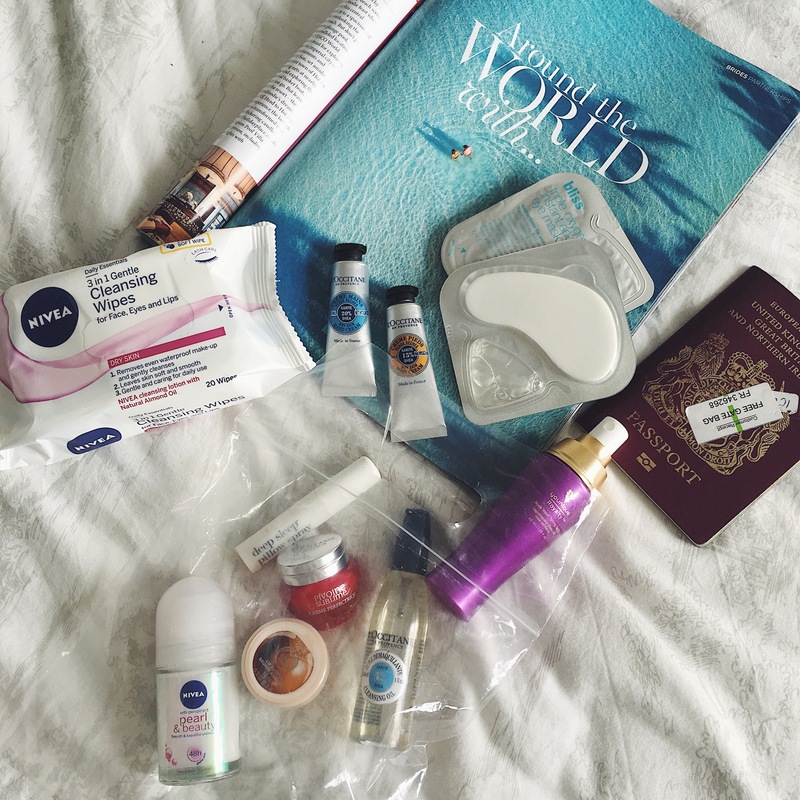 I mean, no oxygen for however many hours will of course leave us looking tired and dehydrated, so here is what I’m packing in my in-flight bag to help my skin look fresh and hydrated when I land in L.A! Yes, I know. Makeup wipes are a cardinal sin in the world of beauty but I feel like on a flight they are an exception. 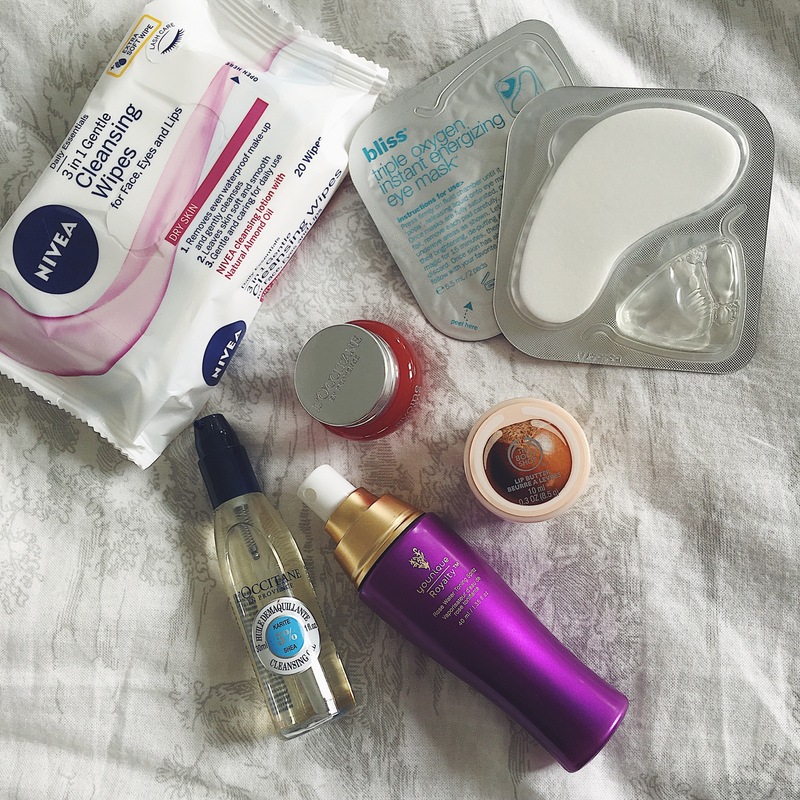 After all, they are just super easy, convenient and you don’t have to squeeze the into the tiny clear bag of liquids (leaving space for other beauty goods). So these Nivea cleansing wipes are what I’ll use to take my makeup off on-flight, as I intend to sleep pretty much the whole time! I love that they contain almond oil and are super soft on the sift. Note: I got ones for dry skin, as the flight will dry me out! Up next is my L’occitane cleansing oil. The reason I’ve chosen to pack an oil above anything else, is that it will take longer for my skin to absorb, which on an 11 hour flight, can only be a good thing. Obviously if you have oily skin, you’d want to avoid a cleansing oil, but you should know what works for you. This will get rid of any excess makeup that’s left on after using the makeup wipes and at £4, you really can’t go wrong with this! You can buy here. To tone, I’ll be using my absolute GOD SEND; Rose water spritz from Younique. I can’t live without this product. It’s so refreshing and good for your skin, that I couldn’t board a long-haul without it. Moisturising is of course KEY when we are already aware that flights dry out our skin. I’ve packed this little pot of moisturising goodness, in the form of L’occitane’s Pivoine Sublime. It smells great (it contains Peony extract) and leaves my skin looking gorgeous, glory and rested. You can buy this travel sized pot for £6.50, direct from L’occitane themselves (and they do free standard UK delivery, too)! I get pretty dry lips on a normal day, let alone a long-haul flight! So I’ll be taking my absolute lip savour – the Body Shop‘s Shea Lip Butter. It’s perfectly moisturising and it smells great too. This stuff is from the lip balm Gods! Before the plane lands in L.A. I will be using the Bliss Triple Oxygen Instant Energising Eye Masks, so that I look a little more alive. As the only bags I want to be carrying around with me, are those with my clothes in! 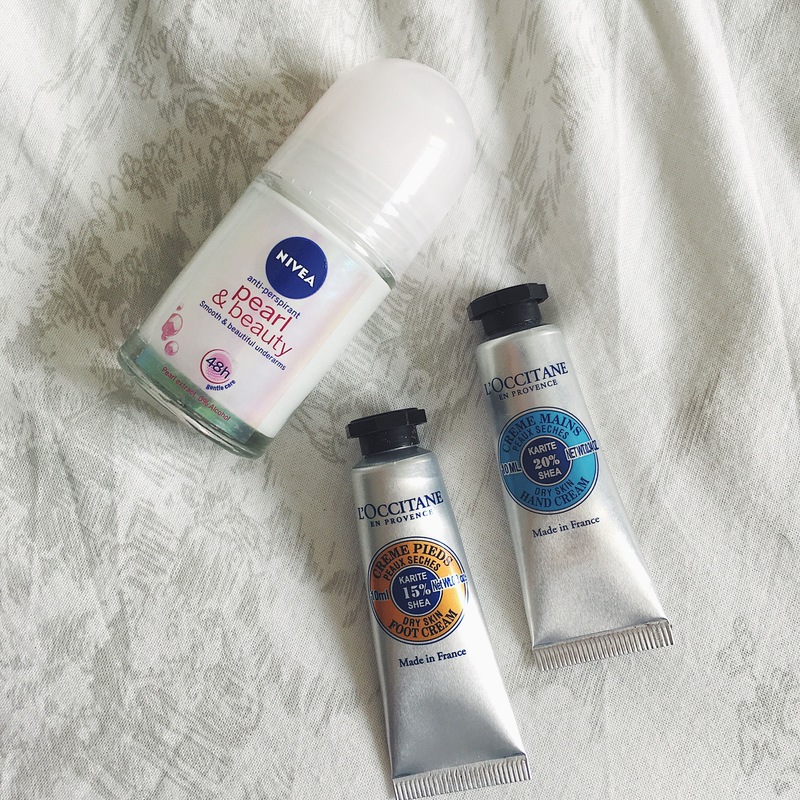 An absolute essential in any bag of mine, is this little travel mini Nivea Pearl and Beauty roll-on deodorant. Rolls on are my on-the-go must have, because that way you can freshen up without having to choke/annoy anyone else with a spray deodorant. I just love this one from Nivea because it’s so soft on my underarms and smells great too. I’ll be taking L’occitane Creme Mains hand cream so my hands remain super soft and similarly, their Creme Pieds foot cream, too. SO, I’m really excited to share this little tip with you (because I am a loser like that) BUT if you don’t already do this, then you need to. Whenever I get magazines with perfume pages/samples inside, I ALWAYS rip them out. 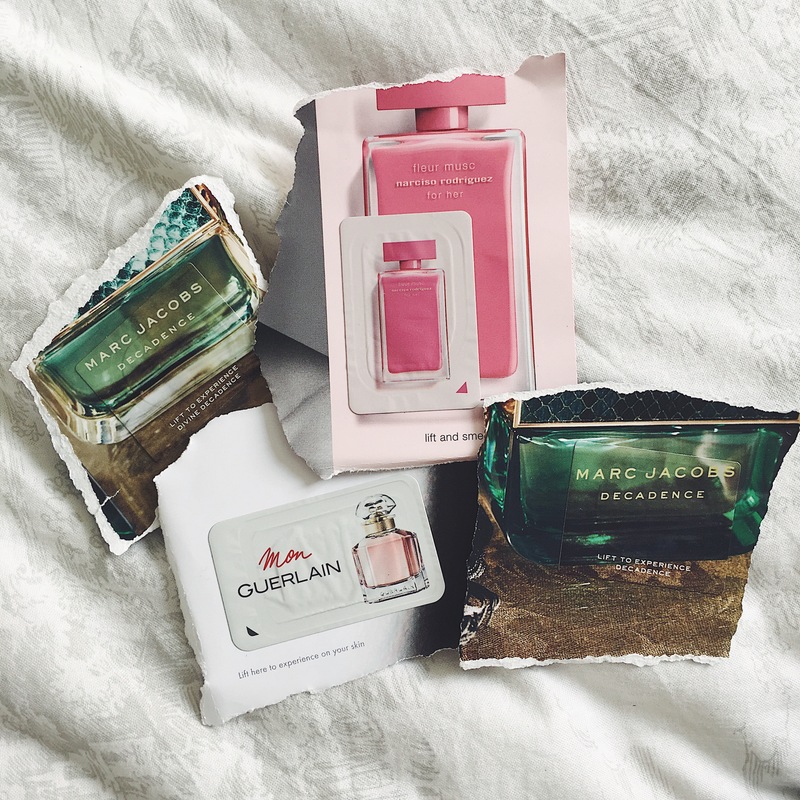 These are soooooo perfect to chuck in that little plastic liquid bag we have to use in hand luggage as these samples literally take up no space at all and you can freshen up so easily on the plane, so you smell gorgeous when you land. NOTE: I don’t just do this with perfume, I do it for body lotions, shampoos etc too, as they’re great if you’re only taking an on-flight bag somewhere and can’t take full size products. But as I’ll be on a long-haul flight and taking a suitcase, I don’t need to worry about the other bits. Just what I need for the flights itself, so yeah! A lovely perfume sample will be accompanying me on this flight for sure. 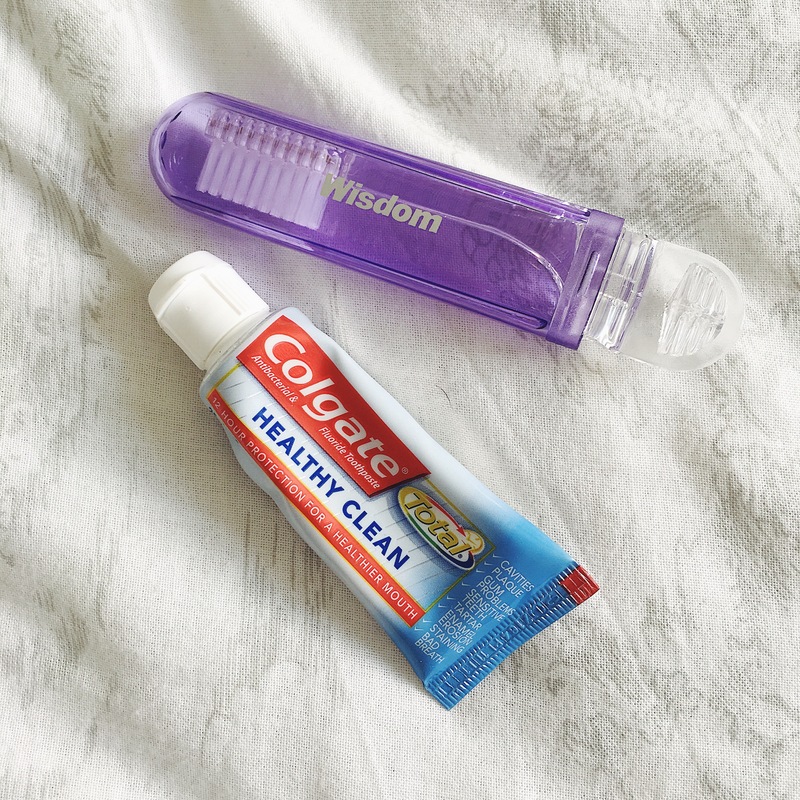 Of course I’ll be taking a travel toothbrush and toothpaste. I picked these ones up in a local drug store as thought they were perfect for in-flight. I’ll probably use bottled water though as where does airplane water even come from?! I can’t go anywhere with my fave products from ThisWorks and a long haul flight is no exception. 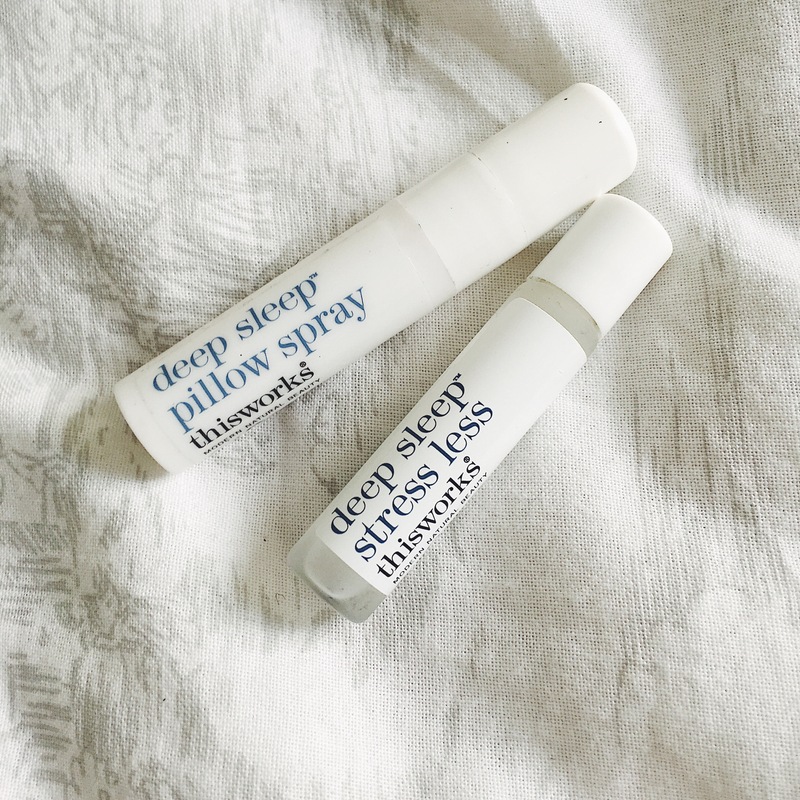 I’ve got my travel sized pillow-spray and pulse point roll-on, so that I can drift off like a dream. Before landing, I’ll probably put on a little bit of concealer and mascara so that I look a little more human, too. 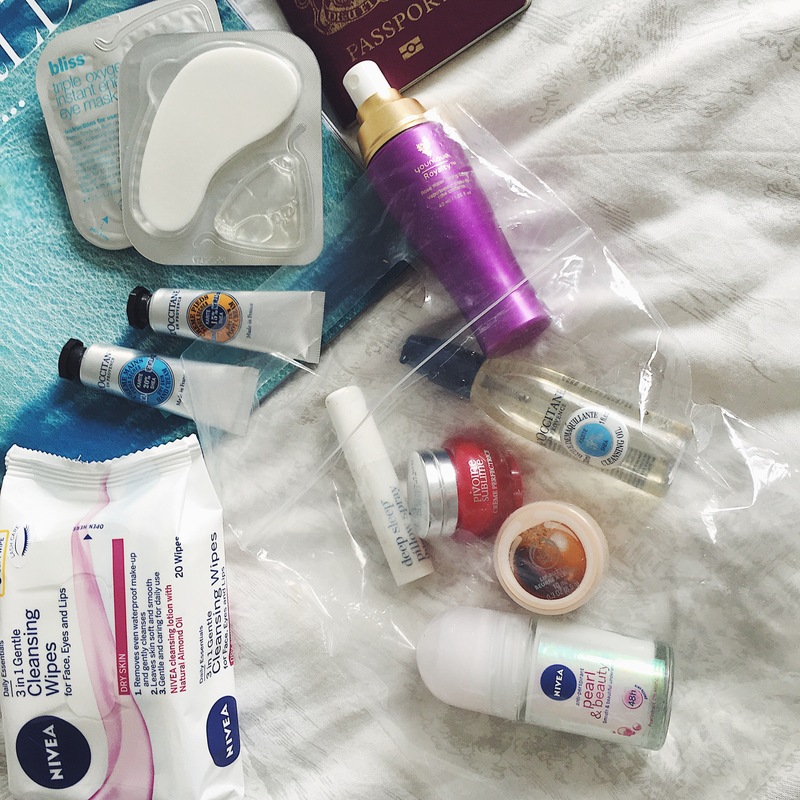 Do you have any long-haul flight beauty essentials? I’d love to know what they are, so please drop a comment in the box right at the bottom of the page!